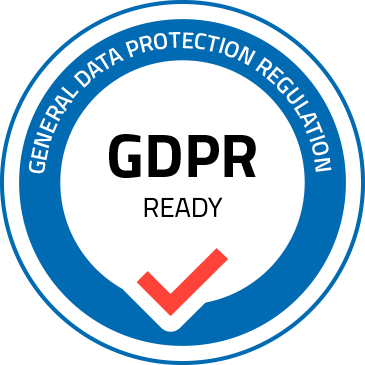 At Lateo Surveillance Ltd we take our responsibilities under the General Data Protection Regulation (GDPR) and its legislation The Data Protection Act 2018 seriously. The managing director of Lateo Surveillance is proud to be a fully compliant data controller registered with the information commissioner’s office and standard setter within the investigation industry. We understand that your privacy is important to you and that you care about how your personal data is used. We respect and value the privacy of all of our employees, contractors, professional advisors, customers and clients and will only collect and use personal data in ways that are described here, and in a way that is consistent with our obligations and your rights under the law. The general position of the Information Commissioner’s Office states: It is unlikely a private investigator would be a data processor. This is due to the nature of their work, particularly those carrying out any form of surveillance investigation. This is due to the high degree of independence, expertise, control and processing of personal information such as writing and retaining reports, obtaining photographic or video evidence. The fact that one organisation provides a service to another organisation does not necessarily mean that it is acting as a data processor. It could be a data controller in its own right, depending on the degree of control it exercises over the processing operation. In the vast majority of cases, a Private Investigator should assume the joint responsibilities of a Data Controller and provide you with a signed contract detailing their responsibilities. Lateo Surveillance is a limited company and registered in England under company number 08023705. Registered address: 7 Front Street, Shotley Bridge, Consett, County Durham, DH8 0HH. Main trading address: Portland House, Belmont Business Park, Durham, DH1 1TW. Data Protection Officer: Mr Thompson. Telephone number: +44 (0) 7974659 016. Postal Address: Portland House, Belmont Business Park, Durham, DH1 1TW. Regulated by: The Information Commissioners Office registration number ZA047569. We only collect enough information to enable us to carry out our professional services. The personal data allows us to manage your portal, carry out regulatory checks to meet our legal obligations, prevent and detect crime and to keep you up to date with our services. You will be asked to supply this information during the registration process. Please note: you are not under any obligation whatsoever to supply any information, however, unfortunately, we will not be able to assist in delivering our professional without the information requested. 5. How will you use my personal data? • Providing and managing your account and portal. • Communicating with you. This may include responding to emails or calls from you, receiving or sending instructions and delivering our services. • Supplying you with information by email or post that you have agreed to. • Checking the validity of an instruction or registration in order to meet our legal obligations. • Carry out regulatory checks to meet our legal obligations. We will not keep your personal data longer than is necessary in light of the reason(s) for which it was first collected. • Employees, contractors, partners and professional advisor’s; no fixed period. • Client and customers; upon completion of the service or contract. • Note; Basic client and customer information may be retained relating to financial transactions such as invoices – no personal information relating to the subject(s) of an investigation or security service will be retained. 7. How and where do you store or transfer your personal data? We will only store or transfer your personal data in the UK. This means that it will be fully protected under the GDPR. If in the course of a service, investigation or security service your information is required to be transferred outside of the UK this will only be done within the European Economic Area (the “EEA”). The EEA consists of all EU member states, plus Norway, Iceland, and Liechtenstein. 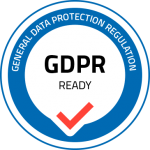 This means that your personal data will be fully protected under the GDPR or to equivalent standards by law. 7.1 Our online portal is password protected and encrypted. You are responsible to ensure the safety of your own password. Tips when creating a strong password: use at least one special character, one number, one case-sensitive letter within the password using linked phrase. For more information please contact us. 7.2 Sensitive documentation will always be password protected. 7.3 Storage devices used will always be protected using passwords and encryption. There may be occasions when your information may be shared with our employees, contractors, partners and professional advisors but only on a ‘need to know’ basis in the course of an investigation or delivering a security service. These employees, contractors, partners and professional advisors are governed by the rules of the GDPR. We will not share any of your personal data with any third parties for any purposes other than for which it was originally intended. Please note this is subject to one important exception. To ensure you receive the subject access request as quickly as possible this should be made in writing and sent to the email or postal addresses shown in Part 10. To make this as easy as possible for you, please contact us and request a subject access request form. You do not have to use this form, but it is the easiest way to tell us everything we need to know to respond to your request as quickly as possible. 1. Nature of work – Investigation and Security Services in the private sector. 2. Dated: 25 May 2018. 3.1. The following is a broad description of the way this organisation processes personal information. To understand how your own personal information is processed you may need to refer to any personal communications you have received with the data controller, check our privacy notices provided or contact us to ask about your personal circumstances. provide investigatory and security services on the written instructions of a data controller (our client) and members of the general public upon completion of a contract to maintain our own accounts and records and to support and manage our employees, agents, professional advisors, partners, contractors, clients and customers. 6.1. There may be occasions when your information may be shared with our employees, contractors, partners and professional advisors but only on a ‘need to know’ basis in the course of an investigation or delivering a security service. These employees, contractors, partners and professional advisors are governed by the rules of the GDPR. We will not share any of your personal data with any third parties for any purposes other than for which it was originally intended. What follows is a description of the types of organisations we may need to share some of the personal information we process with for one or more reasons. 7.1. Personal information is traded and shared as a primary business function. For this reason the information processed may include name, contact details, family details, financial details, employment details, and goods and services. This information may be about customers and clients. 7.2. The information may be traded or shared with business associates and professional advisers, agents, service providers, customers and clients. 7.3 Information obtained will never be sold and only used for the purpose for which it was intended. 8.1. Personal information is also processed in order to undertake research. 8.2. For this reason the information processed may include name, contact details, family details, lifestyle and social circumstances, financial details, good and services. 8.3. The sensitive types of information may include physical or mental health details, racial or ethnic origin and religious or other beliefs. 9.1. Information is processed for consultancy and advisory services that are offered. 9.2. For this reason, the information processed may include name, contact details, family details, financial details, and the goods and services provided. 9.3. This information may be about customers and clients. 9.4. Where necessary this information is shared with the data subject themselves, business associates and other professional advisers, current, past or prospective employers and service providers. 10.1. It may sometimes be necessary to transfer personal information overseas. 10.2. When this is needed information may be transferred to countries or territories around the world. 10.3. Any transfers made will be in full compliance with all aspects of the Data Protection Act.